Low Mileage, Aluminum Wheels, Leather Wrapped Steering Wheel, Premium Cloth Seats! On Sale! Save $10300 on this one, we've marked it down from $25588. For a full-size luxury sedan that won't break the bank, the bold Chrysler 300 is an unbeatable value. 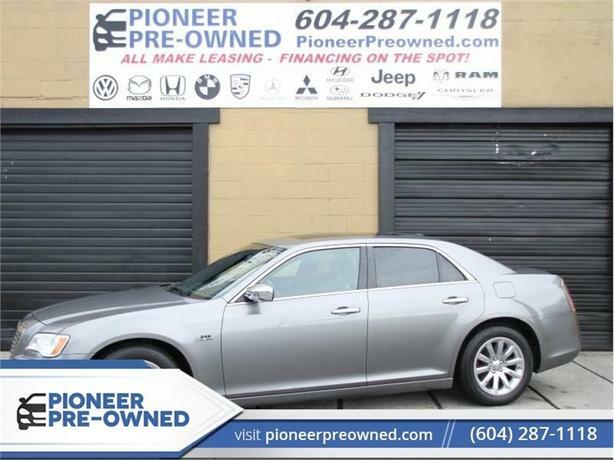 This 2012 Chrysler 300 is for sale today in Mission. This stunning Chrysler 300 embodies world-class craftsmanship and advanced technology. This Canadian-built full-size sedan's sculpted aerodynamics, premium interior, and impressive performance make it a benchmark for powerful luxury. It's an old-school North American luxury car loaded with modern features and technology that are anything but old-fashioned. Make a statement in this bold, powerful sedan. This low mileage sedan has just 54767 kms. It's gray in colour. It has a 5 speed auto transmission and is powered by a 363HP 5.7L 8 Cylinder Engine. This vehicle has been upgraded with the following features: Aluminum Wheels, Leather Wrapped Steering Wheel, Premium Cloth Seats. To view the original window sticker for this vehicle view this http://www.chrysler.com/hostd/windowsticker/getWindowStickerPdf.do?vin=2C3CCAETXCH231134.